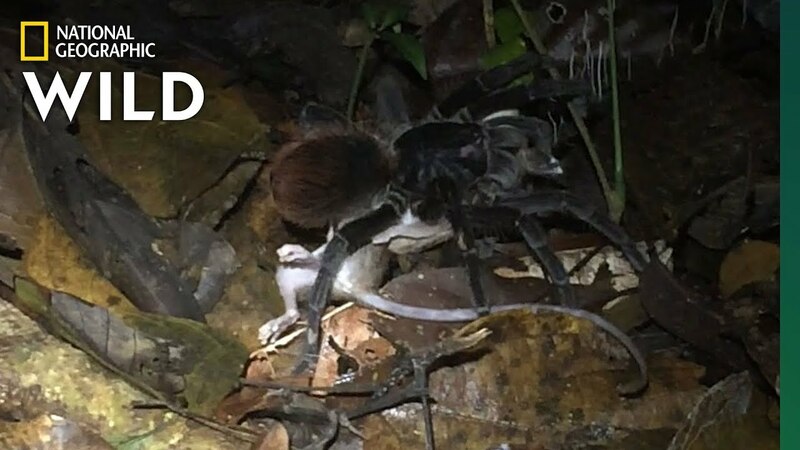 It was almost midnight in the Peruvian Amazon when scientists from the University of Michigan heard a scratching noise in the leaves and saw a dinner plate-sized tarantula dragging a opossum along the forest floor. The spider had grabbed the opossum -- a small furry creature known as a mouse opossum -- by the neck and it was still twitching when the scientists found the pair. They watched for about five minutes and were able to document the moment on video, before the spider hauled its prey behind a tree root to enjoy its meal in peace. That's got to be one of the worst ways to die. Weren't you the one who said "there are no good ways?" Hell no I'm not watching this. Probably, but some ways are worse than others. I figure being stabbed by giant needles that inject chemicals that dissolve you from the inside out over the course of ten to thirty minutes has got to be pretty bad. As a scientist, I can assure you that the technical term is "kill it with fire!"